Although all citizens or residents of the United States are subject to the federal estate tax at death, the current federal estate tax exemption of $11.2 million per person means that most of us will not pay a federal estate tax at death. 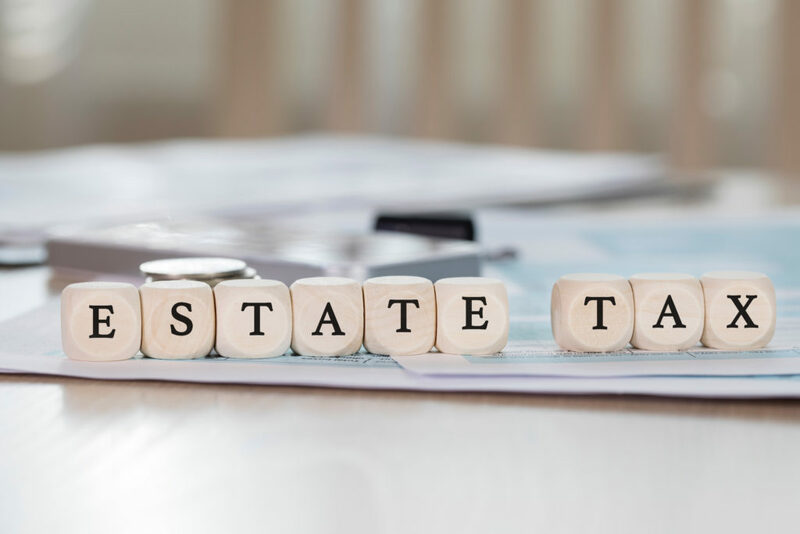 However, Massachusetts has the distinction of being one of only 18 states to impose a separate state estate or inheritance tax on the estates of its residents at death. Massachusetts and Oregon are tied for the lowest amount ($1 million) you can leave tax-free at death. This means that if you live in Massachusetts and own assets valued at more than $1 million, your estate, or your spouse’s estate, will likely pay Massachusetts estate tax at death without proper trust and estate planning. As anyone who lives in Massachusetts knows, it is not difficult to amass an estate valued at more than $1 million – add up the value of your home, retirement accounts, life insurance, bank and investment accounts and you have calculated the value of your “estate” for estate tax purposes. With tax rates ranging from 6.4% (for estates just over $1 million) to 16% for estates in excess of $10 million, the tax bill can be significant. A so-called “credit shelter trust” is a type of revocable living trust created by married couples. One of these trusts is created by each spouse. The purpose of these credit shelter trusts is to reduce the value of the assets that are owned by the second member of a married couple to die, thereby reducing or eliminating the estate tax payable at the second spouse’s death. How do Credit Shelter Trusts Work to Save Estate Tax? A married individual may leave an unlimited amount of assets to his or her surviving spouse at death without paying any estate tax. Similarly, an unlimited amount of assets may be left to charity estate tax free at death. Finally, in Massachusetts, up to $1 million of assets may be left to any person or entity (other than your spouse or charity) without paying any estate tax. Assets in excess of $1 million left to anyone other than your spouse or charity will be subject to estate tax. Because of this, at the death of the second member of a married couple, when assets are passing to children or other heirs, significant estate tax may be due. Credit shelter trusts work by holding or “sheltering” up to $1 million of assets in the trust of the first spouse to die following the first spouse’s death. The surviving spouse may serve as the Trustee of the deceased spouse’s trust, and may use the trust assets as needed. However, because those assets are not “owned” by the surviving spouse they are not “taxable” in the surviving spouse’s estate. What type of Assets Can be Used to Fund a Credit Shelter Trust? In order for credit shelter trusts to work as intended, each spouse must own assets in his or her own trust, or structure assets so that assets automatically flow into the trust of the first spouse to die at his or her death. Any amount of assets can be held in each spouse’s trust, however the maximum amount that can be sheltered from estate tax for Massachusetts purposes is $1 million. Trust assets in excess of $1 million will typically be held in a sub-trust that will qualify for the marital deduction (so that estate tax on those assets is deferred until the surviving spouse’s death). Assets such as cash, investments, residential or commercial real estate and life insurance are all great assets to use to fund a credit shelter trust. Retirement accounts (such as IRAs, 401(k)s, 403(b)s, etc.) are typically not used to fund a credit shelter trust as the income tax advantages of paying these assets directly to the surviving spouse may be lost. What is Involved in Creating a Credit Shelter Trust? Meet with an experienced trust and estate planning attorney to discuss whether your estate will be subject to estate tax at death, how much estate tax will be payable by your heirs, whether you have assets appropriate to fund a credit shelter trust, and how much estate tax can be saved by creating an estate plan that includes credit shelter trusts for you and your spouse. If you decide to proceed, the estate planning attorney will prepare credit shelter trusts for both spouses, along with so-called “pour-over” Wills that direct any probate assets into the trusts at death. Your trust and estate planning attorney should provide you with detailed instructions about how to “fund” your trusts – which means changing the ownership or beneficiary designation on your assets so that the appropriate assets are either owned by or payable to your respective trusts at death. A final and most important step is for you to follow those instructions and fund your trusts appropriately. It is not unusual for credit shelter trusts to be created but not funded. Unfortunately, if credit shelter trusts are not funded the anticipated estate tax savings will not be achieved. How much Estate Tax can be Saved by Using Credit Shelter Trusts? Depending on the value of your assets, creating and properly funding credit shelter trusts can reduce or eliminate the Massachusetts estate tax payable at the death of both spouses. A couple of examples will illustrate the tax savings credit shelter trusts can accomplish. Example #1: Jim and Sue have assets of approximately $1.5 million. If all assets are owned jointly or left to the surviving spouse at the first spouse’s death, the surviving spouse will have $1.5 million of assets at her death and will pay Massachusetts estate tax of approximately $70,000. If instead the first spouse to die leaves $700,000 of assets in a credit shelter trust for the benefit of the surviving spouse, the surviving spouse will have a taxable estate of only $800,000 ($1.5 million minus $700,000), and no estate tax would be payable at the surviving spouse’s death. In this example, creating and funding credit shelter trusts will save Jim and Sue’s family $70,000 in Massachusetts estate tax. Example #2: Bob and Jean have assets of approximately $5 million. If all assets are owned jointly or left to the surviving spouse at the first spouse’s death, the surviving spouse will have $5 million of assets at her death and her estate will pay Massachusetts estate tax of approximately $400,000. If instead the first spouse to die leaves $1 million in a credit shelter trust for the benefit of the surviving spouse, the surviving spouse will have a taxable estate of only $4 million ($5 million minus $1 million), and $290,000 of estate tax would be payable at the surviving spouse’s death, a savings of $110,000. Credit shelter trusts are an important trust and estate planning option and a staple of the estate planning attorney’s toolkit for clients who have a taxable estate. However, the proper preparation and funding of these trusts is crucial to ensure they will work as intended to achieve the desired estate tax savings. If your assets are in excess of $1 million and you live in Massachusetts, you may be able to realize significant estate tax savings by using credit shelter trusts as part of your estate plan. The best place to start is a consultation about your particular situation with an experienced trust and estate planning attorney. Maria Baler, Esq. is an estate planning and elder law attorney and partner at Samuel, Sayward & Baler LLC, a law firm based in Dedham. She is also a former director of the Massachusetts Chapter of the National Academy of Elder Law Attorneys (MassNAELA). For more information, visit www.ssbllc.com or call (781) 461-1020. This article is not intended to provide legal advice or create or imply an attorney-client relationship. No information contained herein is a substitute for a personal consultation with an attorney. ← Get An Estate Plan Now. If You Have One Already, Review It.